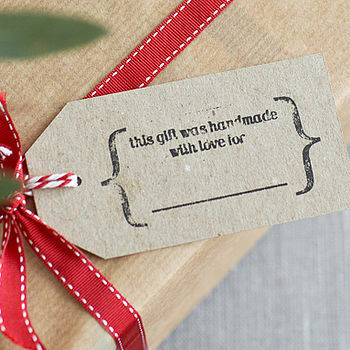 Individually hand stamped "This gift was handmade with love for...." kraft shipping tags. Great for the crafters amongst us, we love these Individually hand stamped "This gift was handmade with love for...." kraft shipping tags. These tags are perfect for those handmade pots of jam, little boxes of cookies or mince pies that you've been busy making for friends and family. 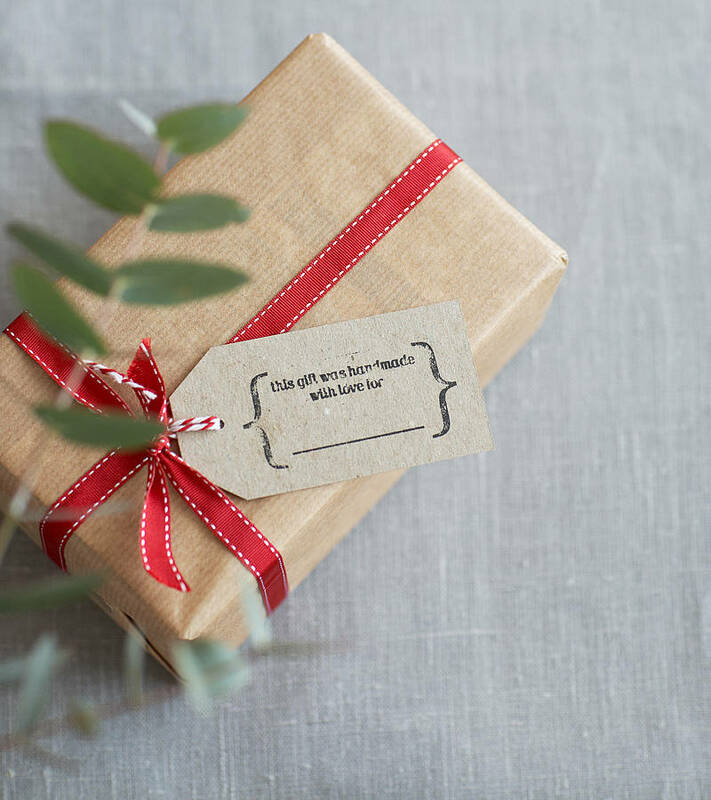 Just fill in the recipients name and attach to your handmade gift! Buying Handmade: Each tag is individually hand stamped so there may be small variations tag to tag. Each pack contains 8 individual hand stamped black ink on brown kraft tags, with red and white bakers twine ties.